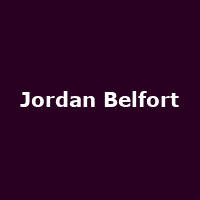 Jordan Belfort is an American author, motivational speaker and former stockbroker immortalised in the 2013 film "The Wolf of Wall Street", directed by Martin Scorsese, starring Leonardo DiCaprio. The film was based on the book of the same name - the memoirs written by Jordan in 2009. In 1999, Jordan was convicted with stock-market manipulation, running a boiler room as part of a penny-stock scam. He served 22 months in prison.